Clarets defender James Tarkowski is keeping his fingers crossed ahead of the unveiling of Gareth Southgate’s England squad. The Football Association confirmed that the Three Lions boss will name his final 23-man group for the 2018 World Cup in Russia tomorrow, and will then face the media to discuss his selection at Wembley the following day. Tarkowski earned his first international cap in March in a 1-1 draw with Italy at Wembley Stadium – in England’s last friendly – and is praying that he has done enough domestically to feature in his first major tournament. “I’m hoping so, fingers crossed,” he said. “There’s not much I can do now. “I’ve done all the work I can. I’ll have a little break next week and if I’m in it, terrific, it will be great to be a part of. “If not, it will be an opportunity to get some rest. “From last summer I was nowhere near the squad, so to even be in with a chance of making the squad is nice. “It’s always a dream more than anything, it never seems realistic. Southgate has already been forced to rule Liverpool’s versatile Joe Gomez out of his plans as the defender has undergone surgery on his ankle for an injury sustained in the friendly against Holland in Amsterdam. That may open the door for Burnley’s 25-year-old centre back, with warm up games against Nigeria at Wembley and Costa Rica at Elland Road on the horizon. With FIFA setting a June 4th deadline for all final squads for the tournament to be submitted, Tarkowski said: “I think age is on my side. “I’m still only 25 so there should hopefully be another opportunity if it’s not this summer. “But for now I’ll get a weeks rest and go from there, either look forward to next season here or a busy summer. “It would nice to be there and hopefully do well. “I don’t remember having much success watching England in World Cups. 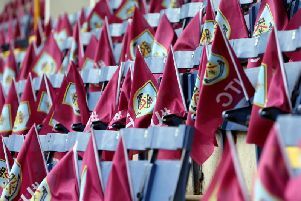 Another player in the frame at Turf Moor is Player of the Year Nick Pope, who has kept 12 clean sheets during his first campaign in the Premier League. With Jordan Pickford and Jack Butland expected to take up two of the goalkeeping spots, it looks like Pope and Joe Hart could fight it out for the final place. “I think he has a chance, maybe Heats and Corky as well,” said Tarkowski. “There’s a few of us in with a shout. “Popey’s been terrific from start to finish. “From the game he came on in against Crystal Palace, he made two or three brilliant saves there.